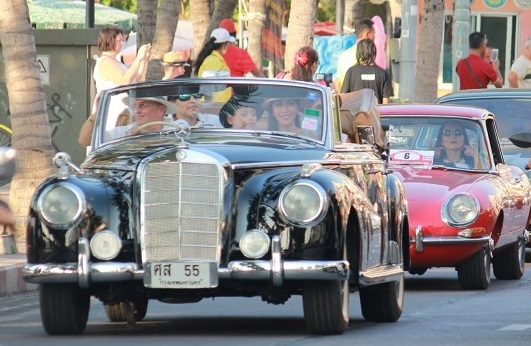 PATTAYA:--Organized by the Classic Cars Friends Club of Pattaya the show of Classic Cars was held in ‘tent city’ on the front lawns of the Asia Pattaya Hotel with 82 classic cars and 15 classic motorcycles on display. 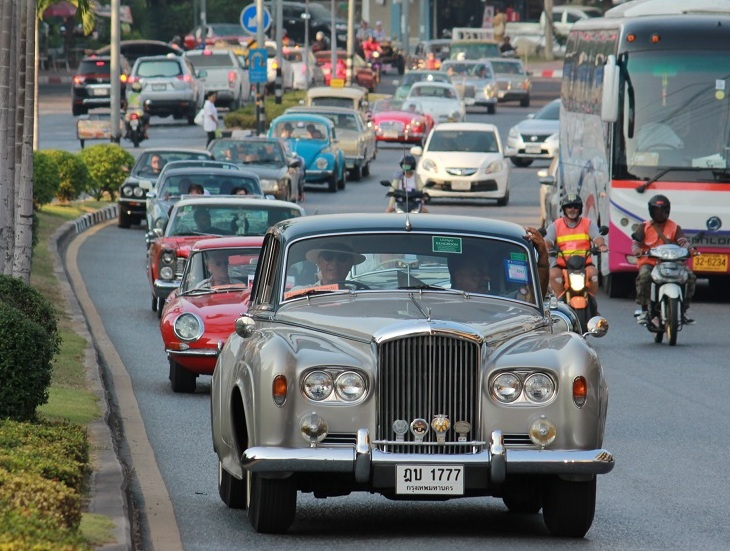 The majority of the classics came from Pattaya itself, with some from Bangkok but the prize for the greatest distance covered went to a team of five classics from Malaysia who had undertaken the epic two-day drive to be with like-minded folk in Pattaya. True enthusiasts. Classic cars are a world-wide phenomenon, with the Goodwood Revival in the UK hosting several hundred cars on display, and thousands of interested spectators as well. This is an annual event. While today’s motorists are getting the onslaught of research into autonomous motoring (cars that have no human driver) and ending up with vehicles that no ‘ordinary’ motorist can work on, the classic movement is getting stronger. The classic enthusiast recognizes spark plugs, coils, valve tappets and can work on them and adjust where needed. There is so much to motoring more than going from A to B. The classic car owner understands these things. Now for me that would be the only reason to go to Pattaya. The Mercedes Benz Adenauer is a very rare model especially in the RHD convertible model. with﻿ the ﻿Goodwood Revival in the UK hosting ﻿several hundred cars on display, ﻿and thousands of interested spec﻿t﻿ators ﻿as well. This is an annual event. Absolutely huge 3 day event now is Goodwood Revival and if you likes old motors a must go to affair .. especially in mid September .. Wish they advertised it...didnt even know it was happening..and where on Earth is tent city? Yes, as billd766 observed.. " the Merc Adenauer RHD is a very rare model"
Silverstone car Auctions UK, had a 1954 RHD model.. Guide price £325k to 375k. There must be money in Thai jewellery. Are you sure they are originals ? You can order any car you want from China.